Joining up to this finish along in hopes it will help me stay a bit more focused on finishing! 1. 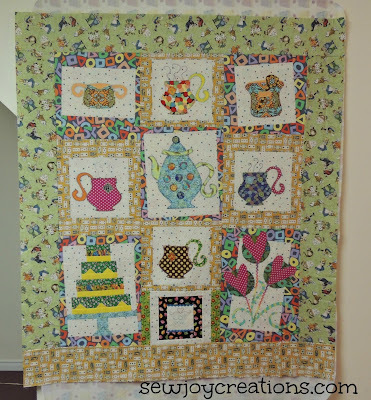 My Madhatter Tea Party Challenge quilt - still needs to be quilted! I know, I know. 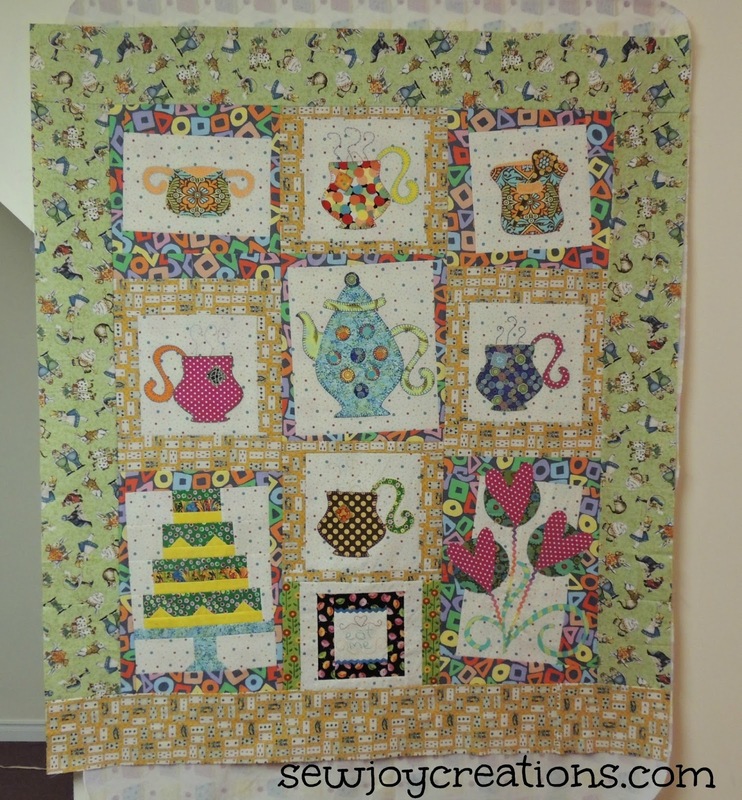 I wanted this one finished and hanging in my dining room right now to celebrate our "Unbirthday Season". We have no more birthdays in the house now until July so I thought this would be a fun quilt to display before my summer quilt. No such luck - yet! 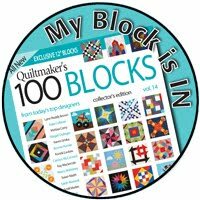 This quilt is sandwiched with help from ladies at my local guild that I just recently joined. 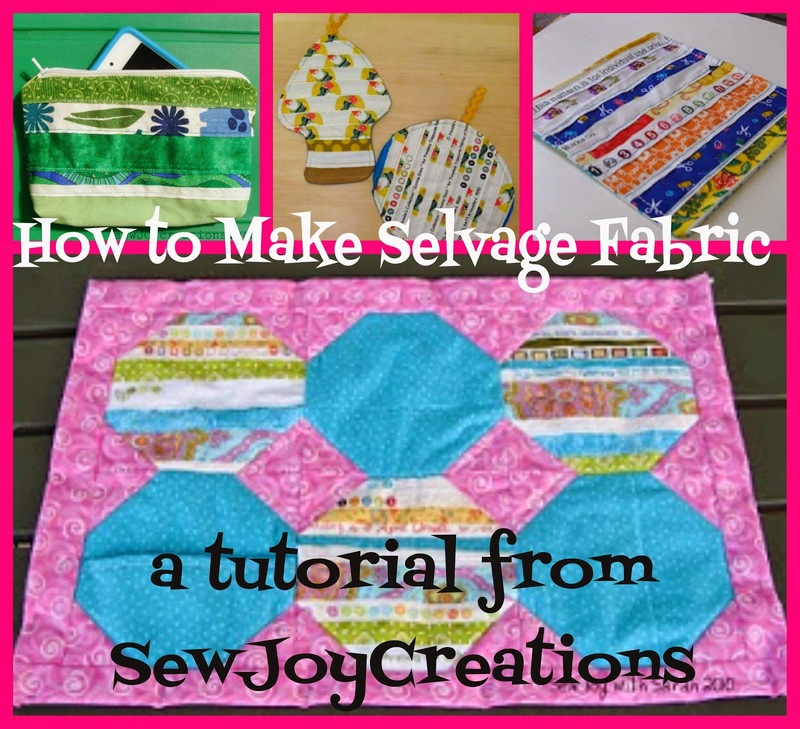 At my first sew day I attended I took my top and they helped me pin it together - FAST! 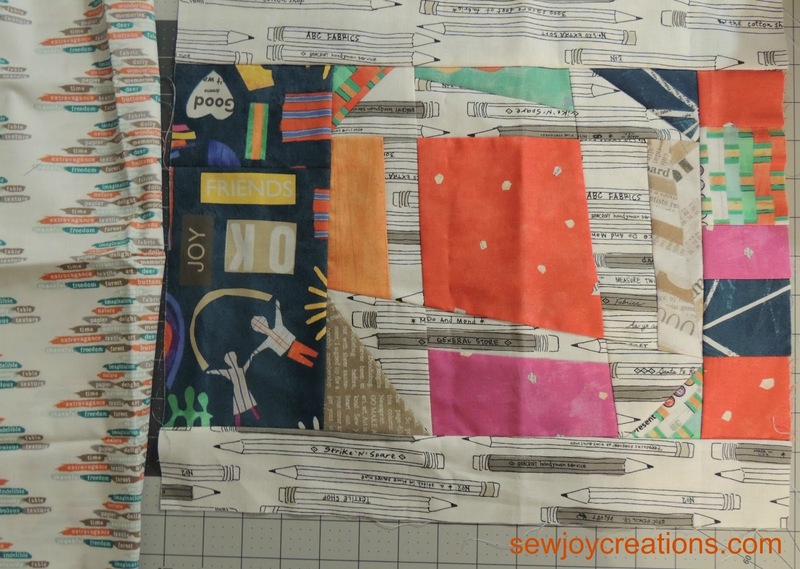 I've been waiting for a nice PFAFF machine to show up to review (one with a wide throat space and built in decorative stitches), but it looks like I will just have to take the plunge and start with some of the straight line stitching. 2. 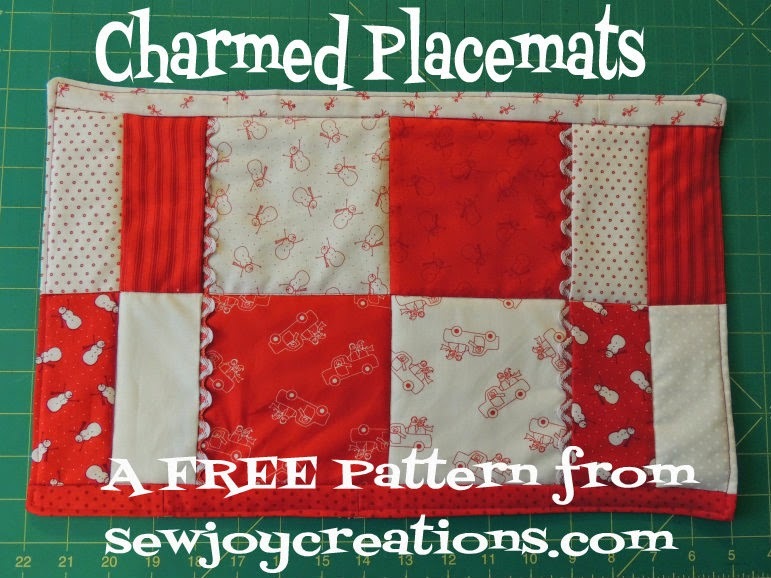 Liberated Churn Dash placemat - needs to be quilted. This one has been waiting around in my pile for awhile. 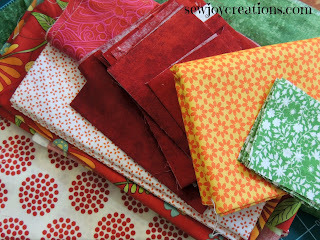 I would like it finished so I can use it with my other placemats that are made up of different patterns but use up my scraps that I bought of Carrie Bloomston's last line of fabric, Story. 3. 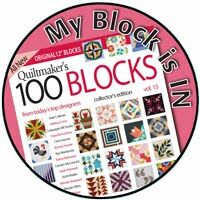 Quiltmaker's 100 Blocks Quilt - needs to be made and quilted! 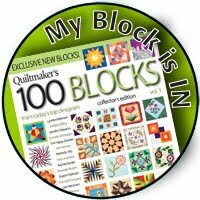 Yes, I'm excited to announce I have a block in the next issue of Quiltmaker's 100 blocks. 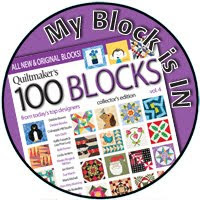 This time, instead of just doing mockups of design possibilities with the block I actually went ahead and made the real thing! I have half of the blocks completed and need to cut out and make the rest; sandwich and quilt, label and bind the quilt. 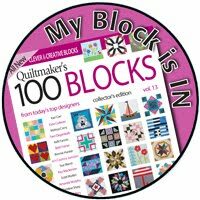 While I hope to have the quilt top ready in May, I'm also considering making it a gift for my paternal grandmother who celebrates a big birthday this year in June. I'll keep you posted! Three is enough for me this quarter - ambitious really considering two of the finishes are quilts! But I'm game! 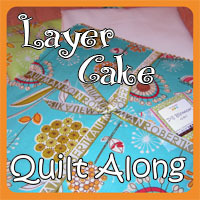 I'm linking up over at She Can Quilt - check it out and please send encouraging comments!